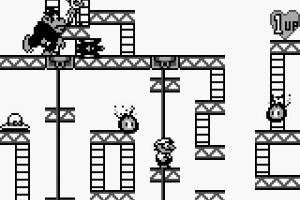 The Game Boy version of the classic arcade game returns! Donkey Kong has once again kidnapped Pauline! 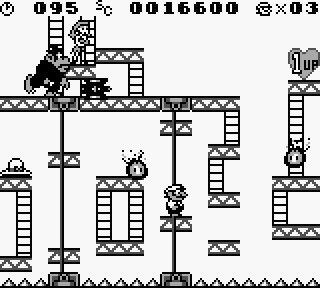 Challenged by many perils, Mario must reach his archrival in order to save our damsel in distress. 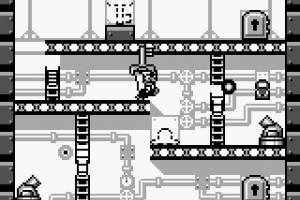 As Mario makes his way through a series of platforms while jumping and dodging obstacles, he will also need to gather disappearing keys to unlock doors to hidden rooms. 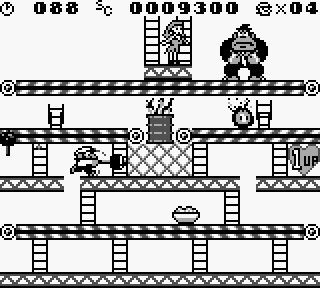 Donkey Kong will stop at nothing to confuse and trap our hero. 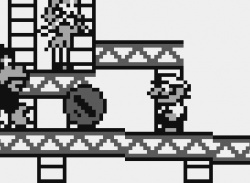 Help guide Mario as he journies to the top! 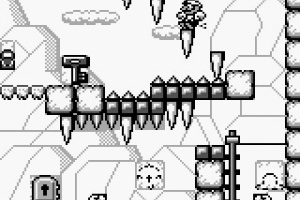 With 10 stages and 100 tricky levels to solve, it is a long trek to the final confrontation! I need to get my hands on this. 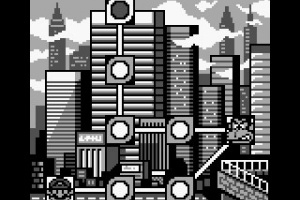 Looks a LOT like the GBA version, minus the colored platforms. 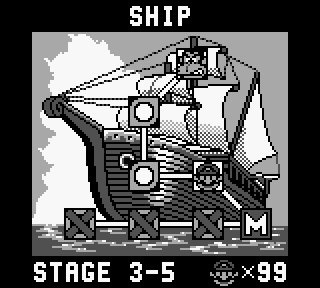 Looks really nice, but as much as I love my Gameboy, I think they should color if they are intent to releasing GB games on 3DSVC. Put in an option for colors. 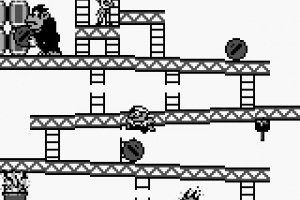 GBC did that for some games, so they can put that it in. I honestly don't think it's worth the effort like this, it's too weird isn't it. Haven't tried yet, still don't have the 3DS, but it's just a shame. 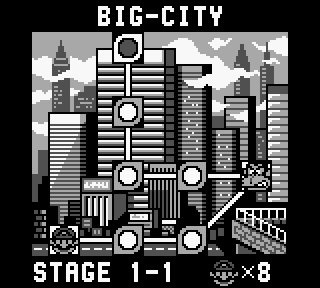 @melechofsin: That wouldn't work for this one, it only got colour when played on a Super Game Boy, not a Game Boy Color. 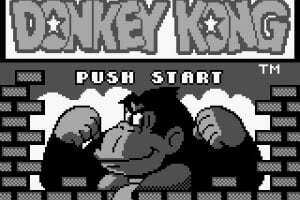 Even if it's just on the Super Game Boy, they should at least offer the option.,.. I predict that this game will get at least ten out of ten. 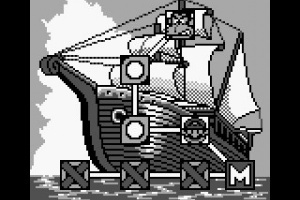 Wish it had an option to set it in color but I guess that is asking for too much. 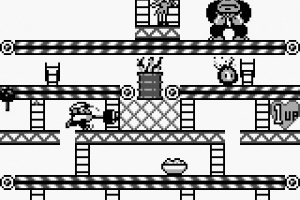 Game plays very well and it is fun too. 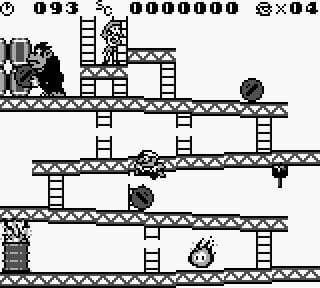 It just has so much packed into it's tiny cartridge for an 8-bit game, I can't get enough of it, and Mario's moveset, and many comical death animations (such as getting flattened by a barrel, charred by fire, or coming into contact with DK) are always amusing. 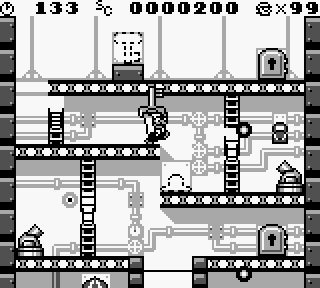 I fondly remember even getting stuck in a few levels, and I know it'd be tempting to look up walkthroughs on-line, but personally the game feels much better when you figure out the puzzles for yourself. 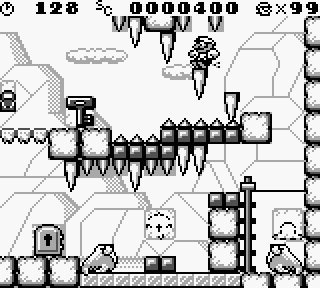 As a kid I had to, (didn't have internet access or subscribed to game magazines) and it was huge thrill for me to finally beat that one ice burg level I was stuck for a few weeks on. 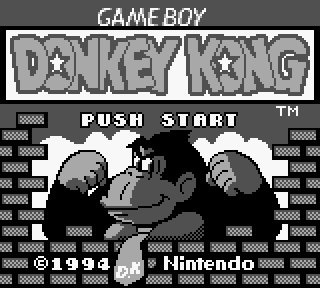 Shame the VC-version lacks the Super Gameboy enhancements, (the color pallettes on SGB were pretty limited anyways) but regardless, this is a great game, and a must-have for anyone who likes puzzle-platformers, or Mario or DK games in general. Should I or shouldn't I download this? 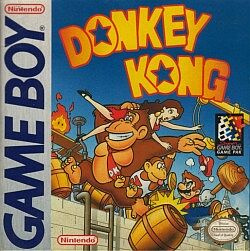 Even if you don't care for the original NES/Arcade "Donkey Kong" game, you should be able to enjoy this game more, because this game is much more advanced, and has more levels, moves, and stuff in it. (Plus you can fall much farther without dieing for instance.) Plus for the cheap price, it feels like you get alot for what you buy. Wish I hadn't sold my used copy to Gamestop. Gonna have to d/l this.